Anyone who has hosted a game night at their house knows that finding the right space can be tricky. The breakfast nook or coffee table can prove to be too small for 6-8 players and the dining room can sometimes feel like an airplane hanger for a game of #Uno or #Exploding Kittens. And it’s not just about space. As much as I like my core group of fellow gamers, sometimes I can easily predict who among them will try to build the longest road in #Catan or which opponent will try at all costs to block my Los Angeles to Salt Lake City train in #Ticket to Ride! Sometimes I just want to meet new players to enjoy a night of games. And then there is the matter of the cost of owning and space for storing all the games we might all want to play. Add in the complexity of refreshments and potentially even feeding your gaming gang and the idea of hosting game night can turn to dread very quickly. Enter the surge in tabletop gaming meet ups and the emergence of boardgame cafes to offer the perfect location to join like-minded people and play games to your heart’s content. In the last decade, thanks to the prevalence of have emerged as a convenient and exciting way to enjoy games with friends new and old. As a concept, many of these locations have built impressive game libraries that can be taken on withdrawal. Globally, there are over 3800 Board Game meet-ups that are hosted at least monthly. These events allow board-game enthusiasts of any type to meet friends or new people to play games for an evening. Often hosted once each month, many meet ups have over 100 people in attendance, meaning there are plenty of folks with whom to play #Las Vegas, #Othello, or #Warhammer on any given night. Meet ups are typically hosted by a core group of enthusiasts. The games in the library are donated by the local community and sometimes by game publishers. Many meet ups are large enough and held consistently enough to attract sponsors. I was recently at a board game meet up in Nashville hosted by #Meeple Mountain. The evening was sponsored by #Brotherwise, the publishers of Boss Monster and several other games. On this night, as often happens, the cost of sponsorship meant donating games that Meeple Mountain could use as a give-away, and several members of the Meeple Mountain audience went home with a Boss Monster game and expansions that night. Everyone was excited to be there. If you are looking for a place to go more often than a once a month meet up, and you are lucky enough to live in a medium-sized city in North America, you might be lucky enough to live near a board game cafe. 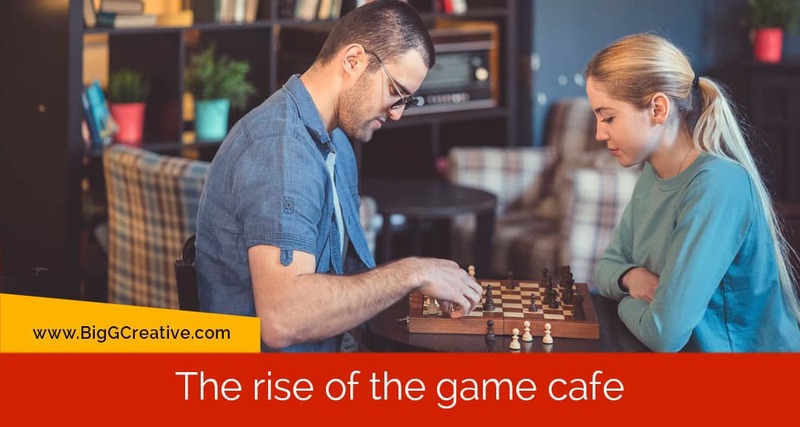 The wave of new board game cafes that have opened across North America follow in the footsteps of the uber-successful Snakes & Lattes (https://www.snakesandlattes.com/). Snakes and Latte’s Annex houses a library of over 1,000 games that can be checked out/in on any given night. Virtually any version of any game most people want to play is available at their flagship location on Toronto’s Bloor Street. Designed as a place to go, have coffee, a cold beer or pub fare, these cafe’s are set up to host gamers and game nights. From #Meepleville in Las Vegas (https://www.meepleville.com/) to the Game Haus (http://gamehauscafe.com/) in Glendale, CA, to Well Played (http://wellplayedasheville.com/). in Asheville, NC, the board game cafe is alive and well and each provides an inspiring oasis for gamers of every stripe. The Tabletop Cafe in Columbus, OH (http://www.tabletopgamecafe.com/) offers amazing espressos, a great game library to choose from and delicious empanadas. Pieces Board Game Bar & Cafe (http://www.stlpieces.com/) has excellent cocktails to accompany their dizzying array of delicious food options, all presented on a 64-bit vid eo game display-style menu. So, for those of us who are hoping to meet new people and enjoy a fun and casual social environment, the explosion of board game meet ups and gamer-centric cafes is just the right trend wagon to jump on. I still have game night once a month at home, but now we can meet a lot of new gamers and enjoy our favorite games in a relaxed and fun social setting. Plus, someone else is doing the dishes and storing all those amazing games!